The story as told by Winroute: Hunting Purp and I were duoing ToB, we are both in the clan Logical Pvm, which is clear that we would be splitting any drops. I have done ToB with him before and he has split drops with the team and we have split drops with him. 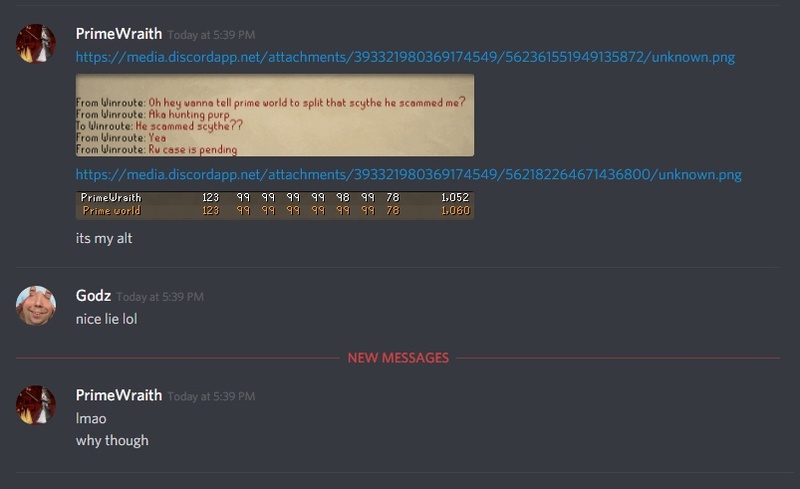 He got the Scythe in his name and immediately left the clan chat, discord and appeared offline.